Peter Pauper Press, Inc, 9781441308559, 32pp. It's a snowy, blowy, wintry day -- just perfect for a yeti hunt Or so thinks big brother. But younger brother is not as convinced. Questions abound: Have you ever seen a yeti? Is a yeti strong? Can a yeti run fast? Children will love trying to find the yeti in the pictures as the boys continue on their quest. 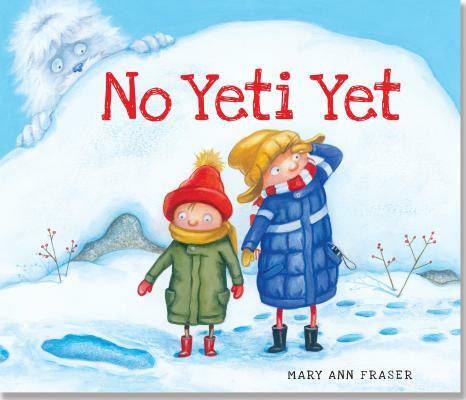 Ages 4 to 8.Hardcover picture book with dust jacket.Full color throughout.11-1/4 inches wide by 9-3/4 inches high (28.58 cm wide x 24.77 cm high).32 pages.Mary Ann Fraser wrote and illustrated her first picture book in the second grade -- which received critical acclaim and a starred review from Mom and Dad. She graduated from UCLA and then went on to spend a year abroad studying at England's Exeter College of Art and Design. Since then, she has gone on to write and illustrate more than 60 books for children, winning accolades along the way -- including "School Library Journal's" ''Best Book of the Year'' and American Booksellers' ''Pick of the List.'' She currently resides in sunny southern California, but can often be found in colder climates searching high and low for yetis. Kaila Eunhye Seo received her BFA in Illustration at the Rhode Island School of Design. She has loved art since she was a child and is passionate about creating work that has a visual and emotional impact on her audience. She lives in Seoul, South Korea. This is Kaila s debut children s picture book."